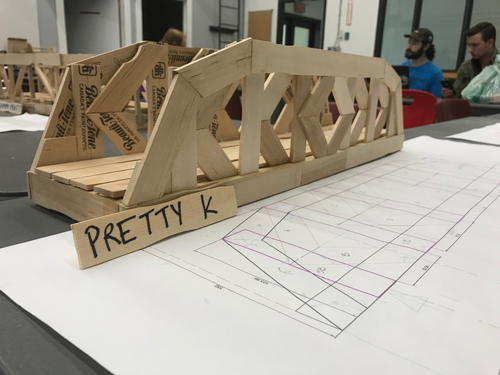 Civil Engineering Technology students had the chance to showcase their hands-on learning today with the testing of scale-model truss bridges at Commerce Court. 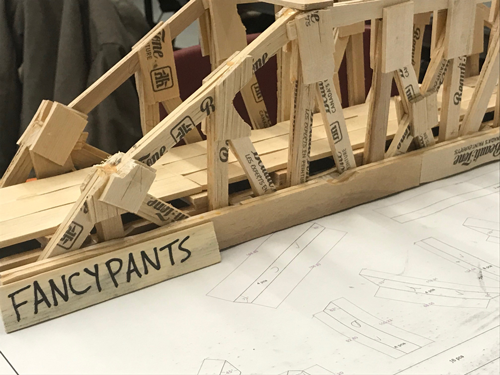 The third-year students have spent the past four weeks building individual designs which reflect their best interpretations of the building techniques used in real world applications. 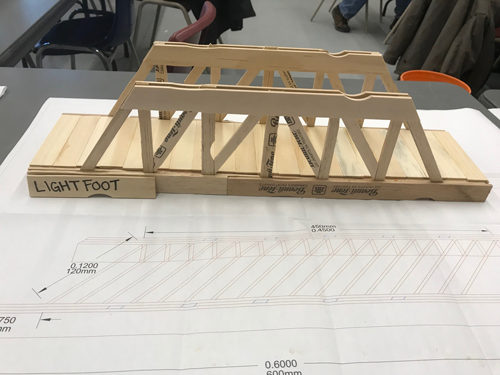 Restricted to paint sticks and wood glue, the students relied on precise measurements to uphold the scale requirements of their original designs and produce a bridge capable of holding as much weight as possible. A variety of truss designs where used, including adaptations of the K-truss, Pratt, Howe and Parker. 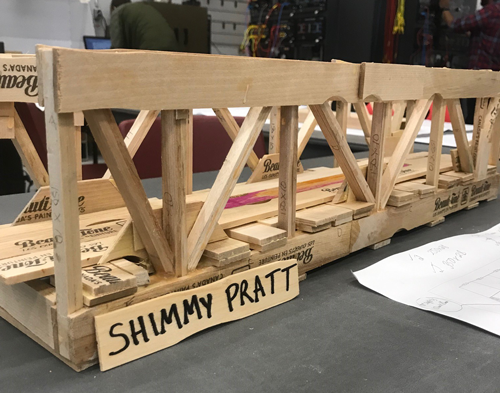 To test the student creations, a hydraulic press capable of applying 1000’s of kilograms of pressure was used and the weight of the bridge was factored in to assess the efficiency of the design and construction. In the end, it was Caleb Stinson’s bridge nicknamed “Mr. Heavy” that withstood the greatest amount of pressure at a whopping 17.57 kN of mass. To put that into perspective, the roughly 2’ paint stick bridge was able to hold the weight of an averaged sized car! This type of hands-on learning is a great example of how the programs at Canadore are constantly adapting and challenging students to be prepared to enter the workforce. Congratulations to all of the third-year civil engineering students on the completion of your program!